Constructed of rugged tactical polyester. Key features include: 1 large main compartment with drawstring closure. Fitted storm flap with quick-release buckle closure and carry handle. 1 zippered exterior pocket. 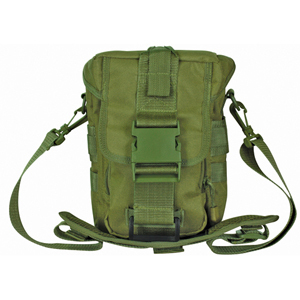 Fully adjustable padded shoulder strap. Size: 9 1/2" x 6 1/2" x 5"
Please Select...Coyote Brown Digital O.D.